What is the hardest aspect of pre-employment (and tenant) screening? As a Consumer Reporting Agency, we take on the responsibility from our customers to provide pre-employment screening. Wanting to make our customers’ lives as simple as possible, we wondered what is the hardest aspect of pre-employment screening? 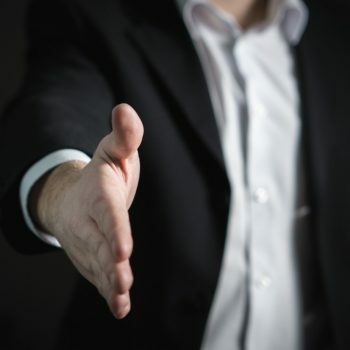 In talking with a number of owners and officers of small, medium, and large-sized businesses, it seems that the hardest aspect of background screening is not the screening itself because they are grateful we do it for them, but the determination of depth to which any background screening needs to go. You may recall not long ago we sent an email saying “you do not need to run the same type of background check on every employee”. Clearly if one is employing somebody in a relatively minor position such as a maintenance worker, it will not be necessary to carry such in-depth pre-employment screening as you would if you were employing a new chief executive. That background screening to some extent is necessary regardless of the position being applied for is obvious, but clearly it needs to be appropriate to the position and the relative risks. But how do you decide exactly what those risks are, and how the level of those risks translates to an appropriate depth of screening? The easiest and most reliable method is to approach NCS because we specialize in carrying out pre-employment screening and background checks. In addition to carrying out these checks on our customers’ behalf using sophisticated systems and services, we provide our customers with accurate, reliable, and timely recommendations as far as exactly how deep those background checks need to go. As we said in our last email, implementing an employment background screening policy is the most economic business insurance you can buy; they are inexpensive…most of them run less than $100. It is the quickest, simplest and often cheapest way of making sure you know exactly who it is you are employing without taking either unnecessary risks, or unnecessary time and resources. Hiring the wrong person is a very expensive mistake!! Many background screening companies use processes that are all automated so there’s no real person who’s reviewing the documents except you, the potential employer. We will never offer a “push the button” option to our customers. Every request we receive and every report from NCS, is reviewed by a real person, your expert…an NCS associate. This insures the information returned is accurate, reliable, and compliant with all relevant laws. THAT IS THE “THE HUMAN DIFFERENCE” .